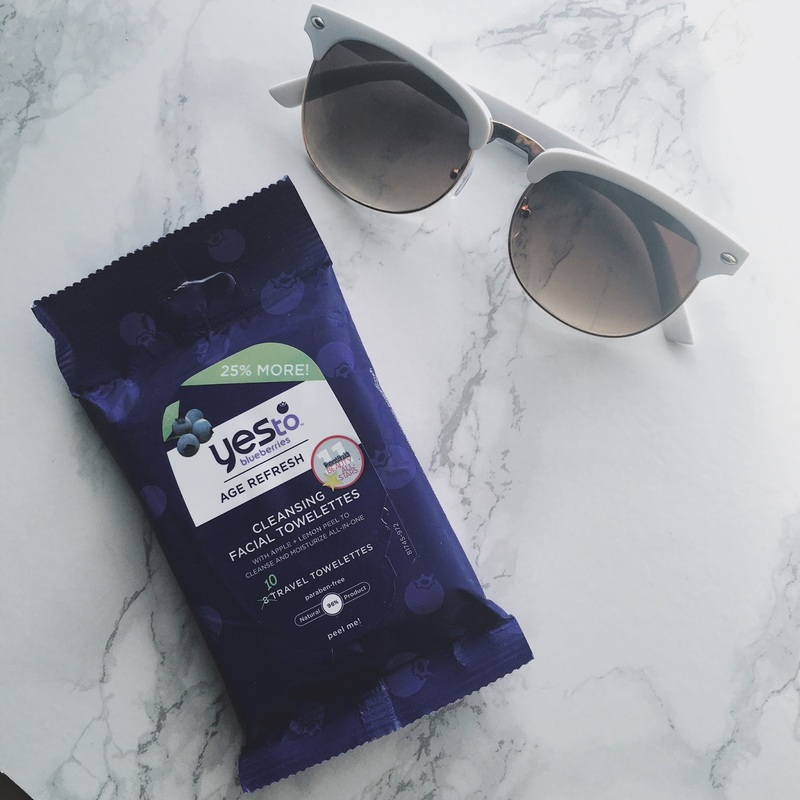 Well I am finally getting round to trying out the "Yes To" Blueberries Cleansing Facial Towelettes. I completely forgot that I still had these and found them stashed in a little box of beauty products that I had packed away just before moving, and I found that box today whilst having a clear out of my wardrobe. Luckily for me I never opened the seal on them until now, as they only last for 3 months once opened. On first impressions alone they feel really soft and haven't got a overpowering smell which is good as I can't say I like face wipes that smell really strong. These facial wipes are the blueberries ones and it also says on the packet that it also has apple and lemon peel in them aswell to cleanse and moisturise all-in-one. Usually I have to put a moisturiser on after using any kind of face wipes as they always leave my skin feeling dry, but I didn't need to with these wipes as my face stayed feeling really soft. My skin has been driving me crazy the last couple of weeks I seem to be constantly breaking out in spots across my nose and forehead and not little spots either :-( and some days it can really get me down as I hate what I see when I look in the mirror. But hey ho what can I do?! I've been unfortunate to suffer with acne since I was about 15 and sometimes it can clear up and then other days it comes back with a vengeance, as if to say "haha tricked you into thinking your skin was nice for a change". So I'm hoping by using these Yes To Facial Wipes at a time when my face is looking and feeling pretty bad that I will really notice the difference if they do work and help clear my skin up. I will be sure to keep you updated on how they worked for me once I have finished this packet off...there is only 10 in this pack though so I'm hoping it will be enough to get a good sense of whether they work or not! Have any of you tried any of "Yes To" products? If so what has been your favourite?